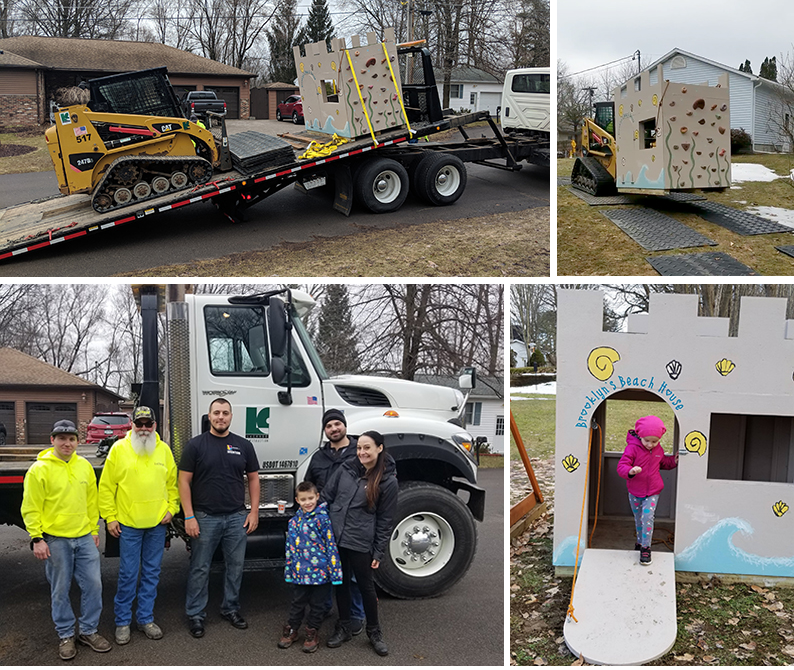 By Jeanne Eason April 8, 2019 Community, Rochester, N.Y.
LeChase team members joined with the ACE Mentor Program in Rochester to deliver a special playhouse to a 5-year-old in Fulton, N.Y. who is battling a rare form of brain cancer. Every year, the ACE Mentor Program builds several playhouses. Working with Zoey’s Light – a note-for-profit organization named in honor of an earlier playhouse recipient – they donate the custom structures to children in need. The one delivered Saturday – Brooklyn’s Beach House – featured a rock wall, drawbridge and sandbox. It also included beachy decorations like waves and sea shells. Thanks to everyone who was part of this special delivery. For news coverage from CNY Central, click here.